The technology transformation is never-ending and competes with itself to revitalize, further moving ahead for an enhanced experience. Today, the automakers, software developers, and technology companies are leading a transformation in the automotive industry, endeavoring to redefine the existing technology. This will cultivate innovative concepts leveraging connected car and Artificial intelligence to render driving experience (that is beyond imagination). For instance; the technology can enable vehicle, detect driving pattern along with understanding emotions. This can guide driver for a safe and enhanced experience. Hence, concluding mobility services as the new frontier for smarter transportation is justified. More auto companies are looking to grab the emerging opportunity and digitally integrating to establish a new experience for the people around. With the robust emergence of IoT, emphasizing on developing new ecosystems is crucial to understand how transforming the Internet of Things will worth your endeavor. An entirely autonomous car will have the feature to transports a person without driver oversight (No attention to the road is required). The vehicle will have all the entertainment, information, and connection with the outside world (that someone would have in their home, office). For instance; From the temperature of the interior to the tinting of the windows to prevent glare or even the personalized adjustment of ambient lighting to create the perfect mood to go with the music playing through the satellite radio station. Even if the car is not driverless, the driver is still connected with the world around them through a digital cockpit platform while sensors positioned around the car provide a cocoon of safety in the thickest of traffic. Assumptions are such that in future, Vehicle-to-Vehicle (V2V) and Vehicle-to-Infrastructure (V2I) technology will facilitate communication between the cars and the infrastructure like traffic lights. This will help to adjust vehicle speed and the distance analyzing the conditions on the road. Further, the voice recognition can be used by the drivers to communicate with a virtual personal assistant to schedule meetings and send text messages. The vehicle’s navigation system guides the car through traffic. In addition, technologies like GPS navigation system, rear-view cameras, and keyless ignitions, improves the driving experience. More importantly, connectivity- a crucial aspect of both autonomous vehicle and smart cities. As per a recent survey by Automotive Product Development and Launch Cycles, 53% of respondents confirmed that better connectivity is key for technology innovation. In the automobile, most of the technologies advances are focused to make vehicles safer integrating GPS navigation for user convenience. Further, the emergence of safety-centric technologies will be focusing to reduce the human element from the operation, allowing the automobile companies to build unified, fully-integrated and personalized vehicle experience. The connected car will change the existing way how people use to drive. Electric and driverless cars, the advanced AI technology, increased application of environment sensors with an onboard computer system, and connectivity of Wifi through digital platform are paving the future. Let’s have a look at the most talked trends that are shaping the way the automobile will take the road. Today, the automobile and technology companies are keen to build the driverless car. Considered as game changer- the driverless car will be in trend, however, the acceptance and production of driverless cars will require a connected infrastructure and advancement of other technologies, such as V2V. hence, it will take years to successfully implement this concept. As the name suggests, the V2V will allows the vehicle on the road to communicate with each other via the data like speed, temperature, road condition, and other emergency networks. The technology promises advanced scenario like uncertain crashes check, ease of traffic congestion and improved environment. Further, it is expected that by 2023 all new cars will come with integrated V2V technology. Innovative sensors monitor and regulate a car’s operation and provide the foundation for autonomous driving by sharing important data in demanding applications, such as engines and brake and transmission systems. In the years to come, sensors such as LiDAR, radar, cameras and ultrasonic are expected to impact safety, security, and vehicle maintenance costs. 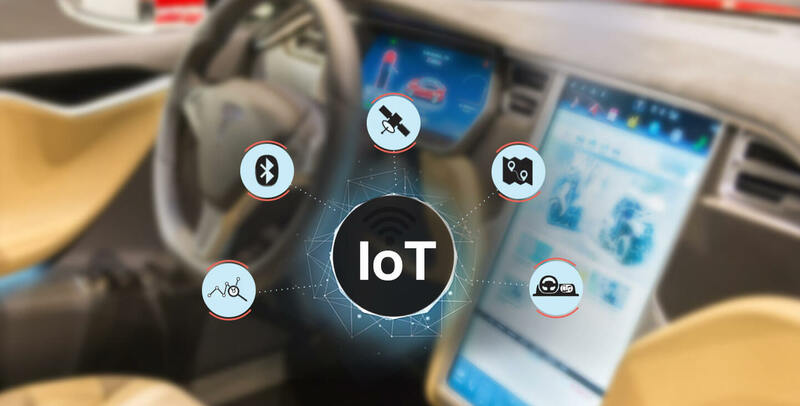 The future for sensors will continue to soar, as they are integrated into AI and connected car technologies to explore further possibilities. In the future, all the cars will be connected digitally. Today, some of the premium model vehicles and luxury cars are built with in-vehicle wireless connectivity. The concept of connected car will be paving huge opportunities for designers, app developers, and web developers. And the first step towards the connected car focus on the car-to-mobile connection which will spread to the vehicle-to-vehicle and vehicle-to-infrastructure connection.